Now I was excited to know that LM.C had their own booth at ACEN and was selling Cd's so when I heard that I was able to get their new album Strong Pop I kind of wanted to rip it open and listen to it as soon as I got to the hotel room, sadly however I didn't bring my laptop because I didn't want it go get crushed. So first I'll describe the album art which will also be posted down below. Now I also bought their "Best Hits" CD for the years 2006-2011 which I also got autographed because the album cover was more visible and I could tell where they signed it. May I say that Aiji and Maya have very unique signatures. Now time to describe their album covers! Strong Pop: I have to say that this is a pretty unique album cover and very colorful...I mean this is super colorful. 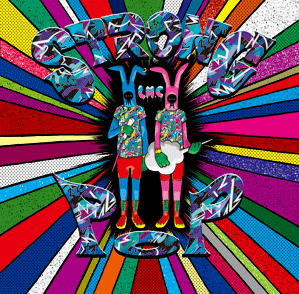 Now there are two bunnies on the album which I theorize that represent Maya and Aiji (Since once seems to be holding a guitar and the other a mic).Also if you turn it on the back you see a "M"(Maya) on the blue bunny for it's mouth and the pink one has an "A"(Aiji). The album cover on the back is amazing and clever. I liked how the song listing isn't in a boring row but better yet in comic book bubble qoutations? 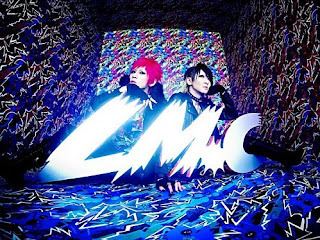 About the album: I've never been disappointed by LM.C and yet again they seem to keep an unique sound with the album and also may have created a new genre "Strong Pop". I have to say that everytime I hear "Super Duper Galaxy" I've been breaking out dancing...even in public and that's just sad. See LM.C look what you guys do to me...making me dance in public shame on you! (Just kidding....sort of). Another song I've come to like a lot is "Ah hah!" and "Game of life". LM.C I can't explain on how much you've impressed me. 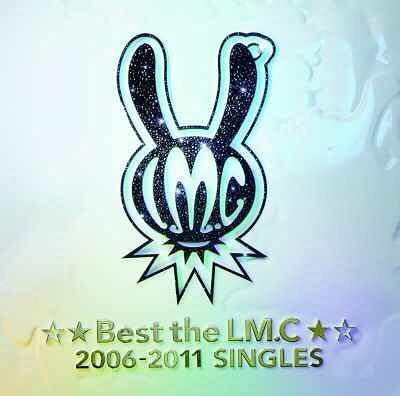 Best The LM.C(2006-2011Singles): Now I was happy with this album because it has all my favorite songs from Bell The Cat to one of their latest singles "The Love Song". I have to say that this is a very well put together album for "best of" but of course this is their singles. I was said to see that Yasha hime(YASHA姫) didn't make the list or "No Fun No Future". Though as LM.C said they consider the "Mad LM.C" a seperate band. So my final message to LM.C, thank you again for an amazing time at ACEN. It was great to meet you and ask questions. Also please continue to make great music and I'll be looking forward to hearing more from you guys! Be Strong Be Pop!!!! !